The controversial stories and accusations on the various cases of fraud and other illegal activities surrounding Lanre Gbajabiamila, the Director General of National Lottery Regulatory Commission (NLRC) seems to have intensified as there are impending reports on a possible move to scrap the commission based on unresolved issues of inappropriate accounting reports, transparency of revenue generation and expenditure. Information made available to SecretReporters revealed that the Kebbi State lawmaker representing Arewa/Dandi Federal Constituency and House Committee leader on Governmental Affairs, Hon. Hussaini Sulaiman Kangiwa has expressed his disenchantment on Lanre Gbajabiamila’s led administration for misappropriation of its allocated fund as it has significantly dug a big hole in the government’s pocket and in turn called for the immediate scrapping of the commission. 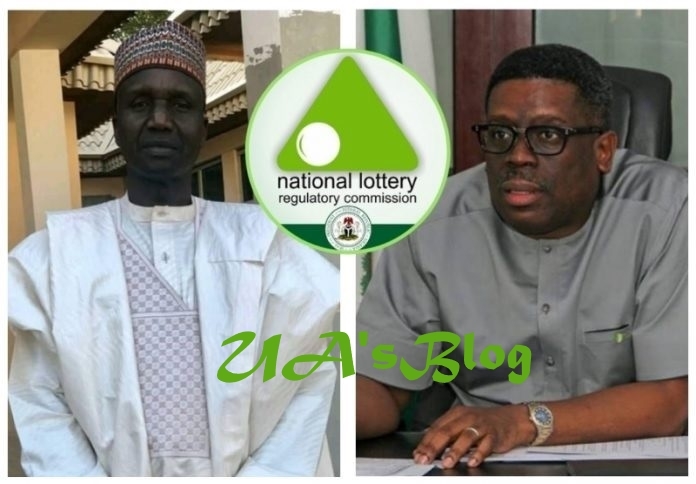 During the plenary session at the green chambers held on Wednesday 20th of March, 2019, the lawmaker expressed his dismay as he affirmed that the agency’s main aim of the nationwide regulation of business activities of the lottery operators in the bid to generate revenue for the government has proven to be a hoax as it has shown that the DG has turned the commission into his “Sugar land” judging from their unsatisfactory financial record. According to Hon. Hussaini this is evident as no visible progress has been made over the years by the commission which also has no positive impact as regards revenue generation in the country. Kangiwa on chastising the DG’s financial report stated that the budget will be on stand down if there is no detailed explanation provided by the commission as he emphasized that the need for such action was to protect the interest of Nigerians. In the financial report presented by the lawmaker, N6 billion was proposed to be the projected 2018 revenue by the commission, but only N1.9 billion was seen to be remitted into the government coffers. The lawmaker further expressed his dissatisfaction over the underperformance of the commission which in his opinion was capable of employing over 10,000 Nigerians into their workforce and in-turn provide a significant increase in their revenue generation thereby making the commission leave up to its expectation.